I think if you group them, the collection looks a lot more interesting. 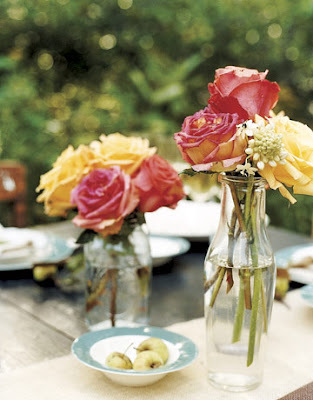 Perfect for wildflowers on a country table setting! Head over to my etsy store to pick up some of your own! So pretty, I've been collecting them and trying to figure out how to display, this gives me some great ideas. 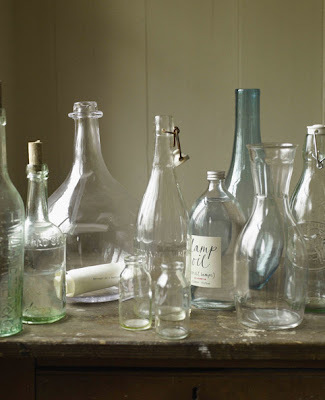 I just love how femine those look!I actually have a blog about this in my 'drafts box' I was just waiting to find a few more bottles. I knocked off a pottery barn idea and it is really turning out great...just need some more bottles. 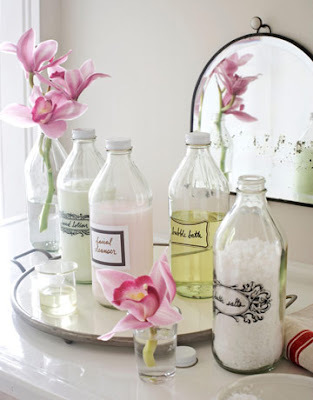 I love all kinds of bottles and jars - once I decided to actually use them, I have found so many uses for them. The old ones with the original labels are my favorite - thanks for the beautiful inspiration pictures! I saw the vinegar bottles in Country Living and immediately wanted to dump out all the vinegar until I realized it was a plastic bottle! Do they even come in glass bottles anymore? Love that look! love the pictures! great ideas....of course everything you touch looks amazing girl! 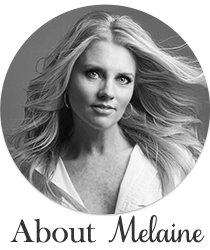 Melaine~ your style is just breath-taking. So many wonderful ideas... I adore everything you do!!! I am looking forward to the Spring and all of the Antique Markets. I have given away so many of my bottles as gifts that I am running low...I need to stock up!! Oh,what a pretty post! I just love everything about it!LOVELY!!! those are so beautiful. love them all clumped together. i thought all of these were in your private collection. these are beautiful! i love the way the light plays on glass objects too! i will head over to your etsy for a quick peek! and I'll follow your beautiful and inspiring blog too! come by and visit me at my blog sometime when you have a minute...creative living, is the only way to go, right! I love vintage bottles and have collected a few over the years. My favorite way to display them is to place them where the light can filter through them. Other than that, I just have them scattered in various locations througout the house. I also have some bottles that are not vintage, but they caught my eye because of their shape and/or color. Your pictures are beautiful!! I love all of these bottles!!! Hope you are having a wonderful day! These are just so pretty- I'm inspired! Love the bottle collection.....they look so beautiful w/ the flowers in them! This images are beautiful. 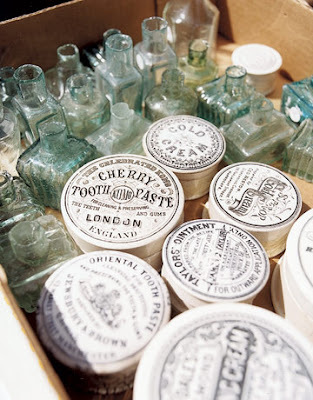 I love vintage bottles and have been collecting them for years. I hope you caught my post about Timi's event the other night, where I shared your artistic abilities AND elaborated a bit on your name,,,"Make note..."
Glad I got to see your lovely booth and hopefully we'll run into each other soon! Anytime you want to "do" lunch in Snohomish, let me know!! Beautiful! I am headin over to your etsy. What a beautiful idea!!! I've never look the vintage bottles in this way... thanks!! i love this idea, i may have to start collecting bottles! 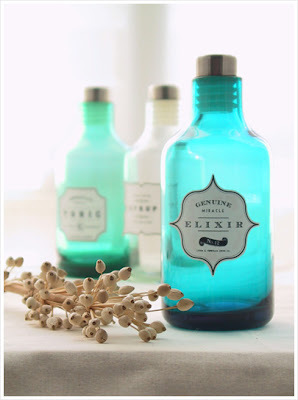 I do so adore vintage bottles and am always trying to find new ways to use them! There's just something about the aged glass that is so lovely. 7 Gorgeous Warm White Paint Colors For Home Decor! Happy Birthday to our Storefront! !